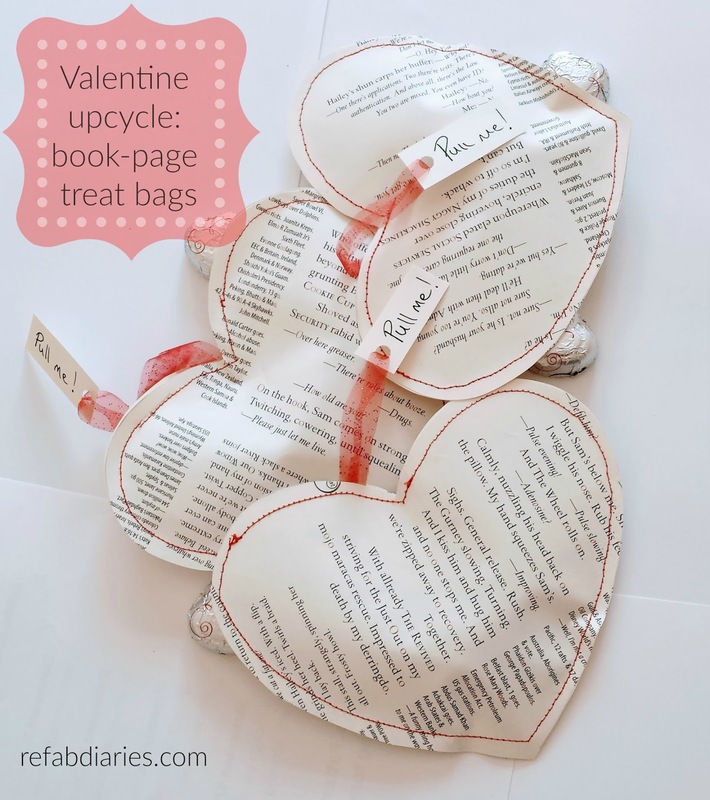 Valentine's Day is just around the corner and, if you have children in elementary school in US, you might be like us: on the hook to produce 15-20 kid-friendly Valentines for the students in your child's class. And all their teachers. And the coach.... and, and, and. In short, it's either a daunting task to make a "batch" or an expensive shopping trip to buy things that will probably be thrown out. Oh, and we generally leave it until the last minute because, who doesn't? Also, our school district added a twist this year by banning candy - no candy at school for any reason. In general, I'm in favor of this ban. But, you know..... it doesn't make the Valentine thing easier. Anyway, while eating breakfast on Sunday morning, my daughter suddenly decided to make origami hearts for everyone - she just needed interesting paper. 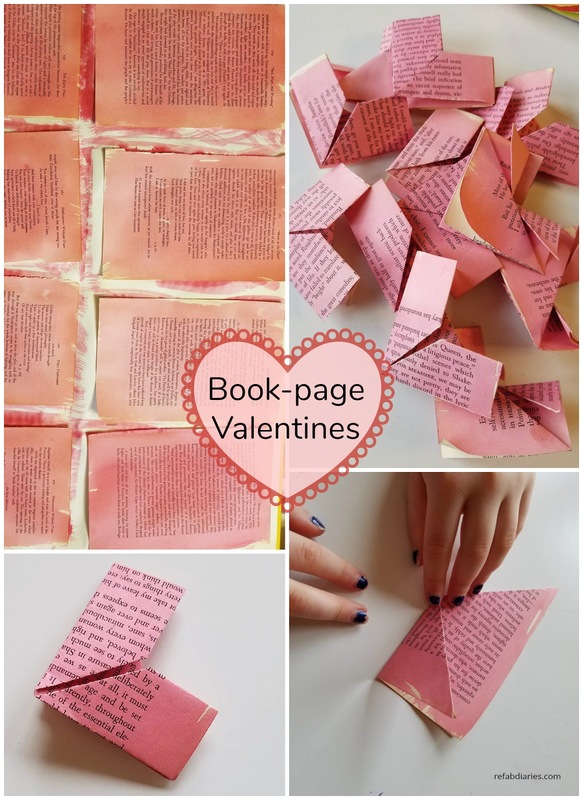 I was delighted by her initiative and offered up the idea of painting book pages. She wasn't sure what I meant but agreed enthusiastically. We completed the whole project in under two hours so I'm sharing it. Because I hope this idea will save some poor parent out there who realizes - the night before - that 15 Valentine's have to materialize by 8am the next day. Scroll down for instructions and a 50 second video! Yup - I made a Valentine's Day thing. Mostly because I was inspired by Pillar Box Blue's upcycled map hearts. 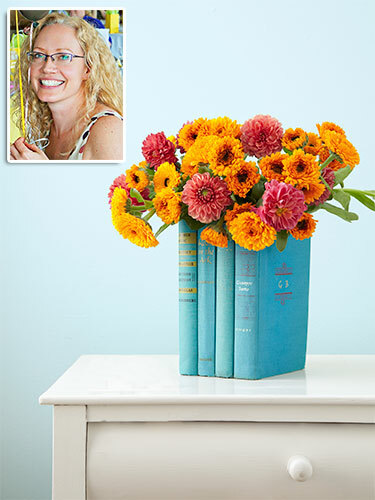 They're so easy to make and such a great way to repurpose magazines, old book pages and, apparently, maps. Also, sewing paper is fun! Once upon a time ... a friend and I ran a little business called Rebooked. It involved a LOT of work for very little return, but we were unemployed... we had nothing but time. 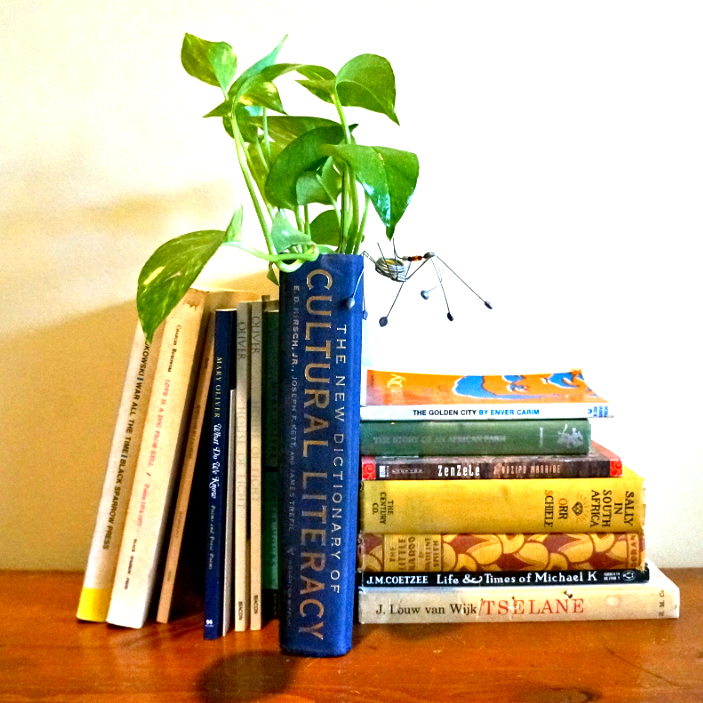 And we learned a lot about upcycling old books! So much, in fact, that I've enjoyed working with them ever since. 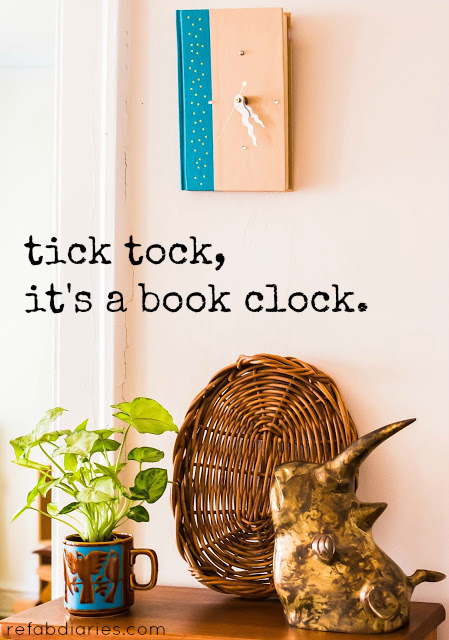 When we set out to make book clocks (2004), there were no online tutorials to be found. So there was a lot of trial and error (and swearing) involved. The first ones were so much work, I still have one on the wall (above) as a reminder. Today, it's pretty easy to find really good instructions from lots of talented people. Keep reading for my instructions, and a list of my favorite tutorials. And what if you find a book that's a perfect size but you hate the title? You don't want to go to the trouble of making something like this if you don't want to display it in your home! 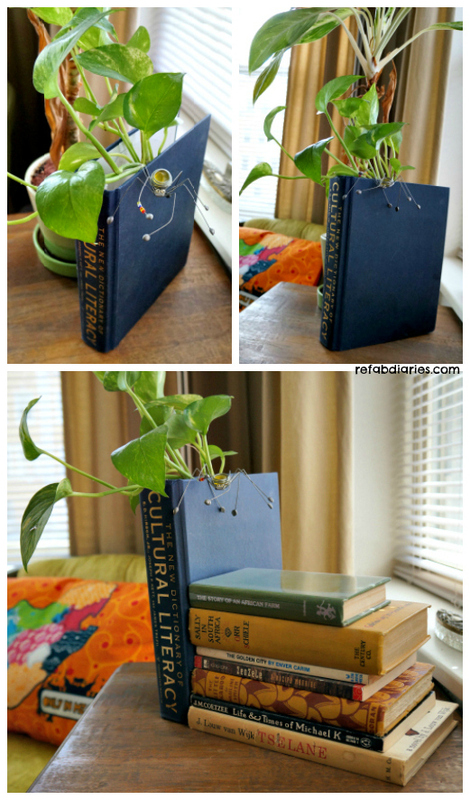 Head to this wonderful post full of ideas (and tutorials) for covering old books. 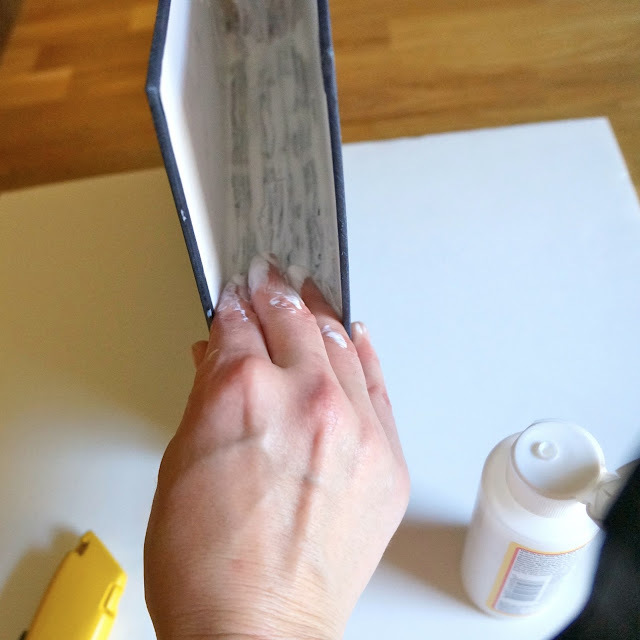 Ideally, you'd use a plastic box that fit perfectly inside the book cover, like the designer version. However, without going out and buying something, this will be tricky to pull off. 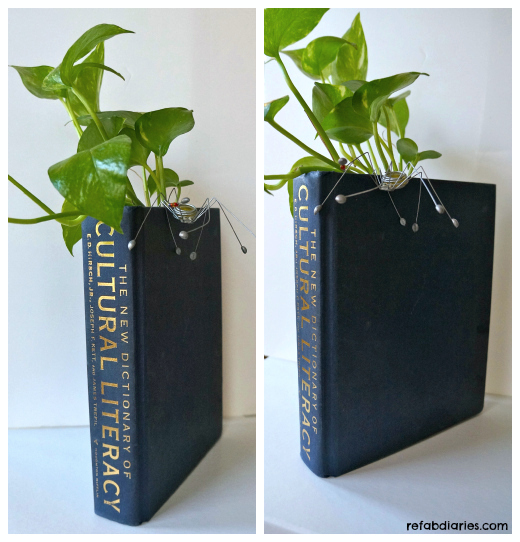 So my work around: Create a shelf inside the book to hold the much smaller container I found. 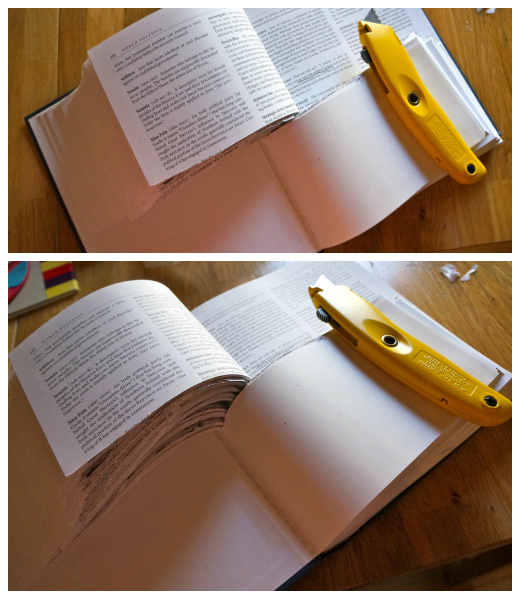 I decided approx how low it could sit inside the book (about halfway down) and that's where I cut. If you've done anything like this before, then you know it takes a little time. And perfectly straight lines are hard to achieve. Happily, this is a really forgiving project. And the cutting took about 20 mins. I cut about halfway into the book then started ripping the pages out. After that, I tore them out as I cut. Apply glue/Mod Podge inside the covers. 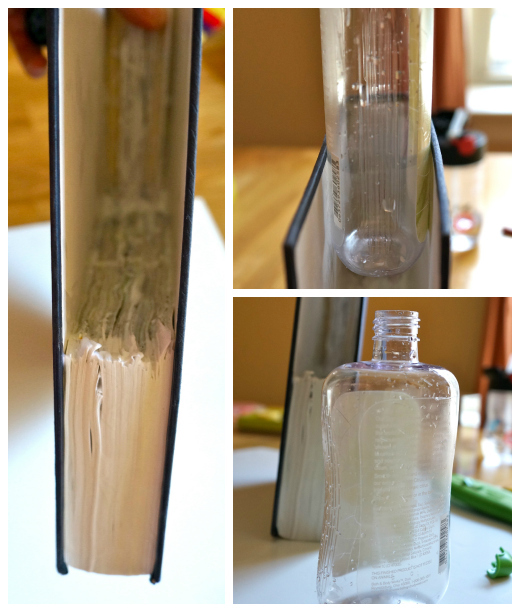 Then hold the book closed and pour in the Mod Podge. And I do mean pour. The stuff is miraculous, but only if you're generous. Rub it into the pages both inside and out. You're creating a seal that will hold the whole block together beautifully. So be a kid for a minute and get your hand dirty. Only one hand - you need the other to hold the book (or camera, if you're me!). Once you're happy with your smearing job, weight it all down with a few, umm, books. You see the Mod Podge drips? Immediately after a took this picture, I worked them into the pages. It dried in a couple of hours. And guess what? Without its pages and with all the compression, it was suddenly a narrower space than I'd allowed for. This meant that my nice plastic box no longer fit into the book. So I scoured my home and finally found an almost-dead bottle of body wash that fit the space perfectly. A bit smaller than I really wanted, but fine for the purposes of this tutorial! I cut off the top and was close to done. 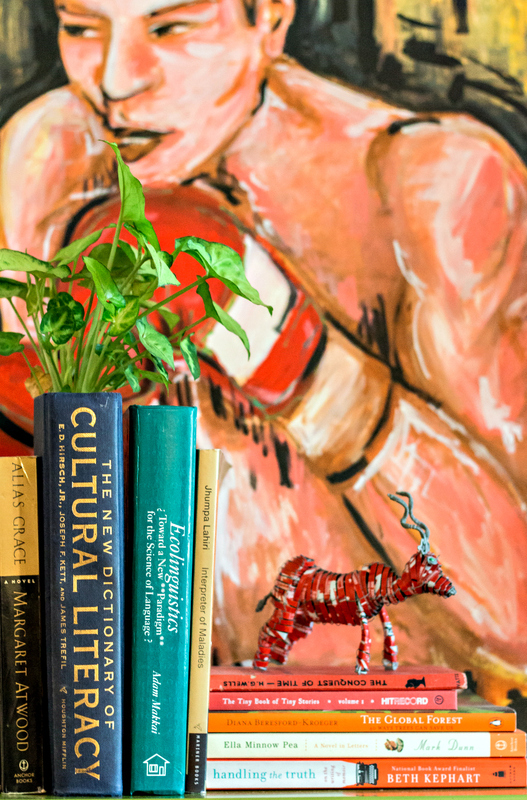 I love Devil's Ivy (Pothos) because I haven't been able to kill it. And because you can cut pieces off a plant, pop them in water and they live happily. No soil required. 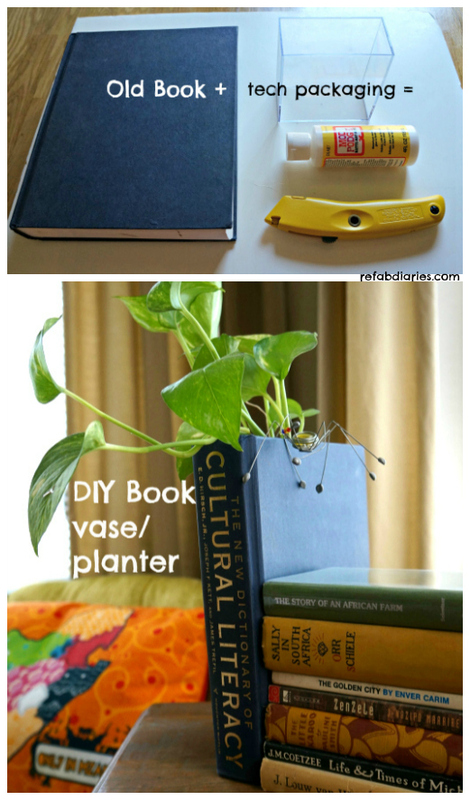 So I used a few pieces in my new vase/planter because the repurposed bottle is too small for "real" planting. And because I prefer things that grow over cut flowers. If you object to the idea of cutting up books, give me a minute to change your mind ... read this!